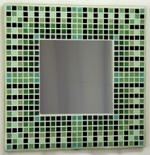 It is made from 480 tiles in 8 colours, with a nominal size of 29cm wide x 29cm high (approx 11 x 11 inches) and a 15cm x 15cm mirror. 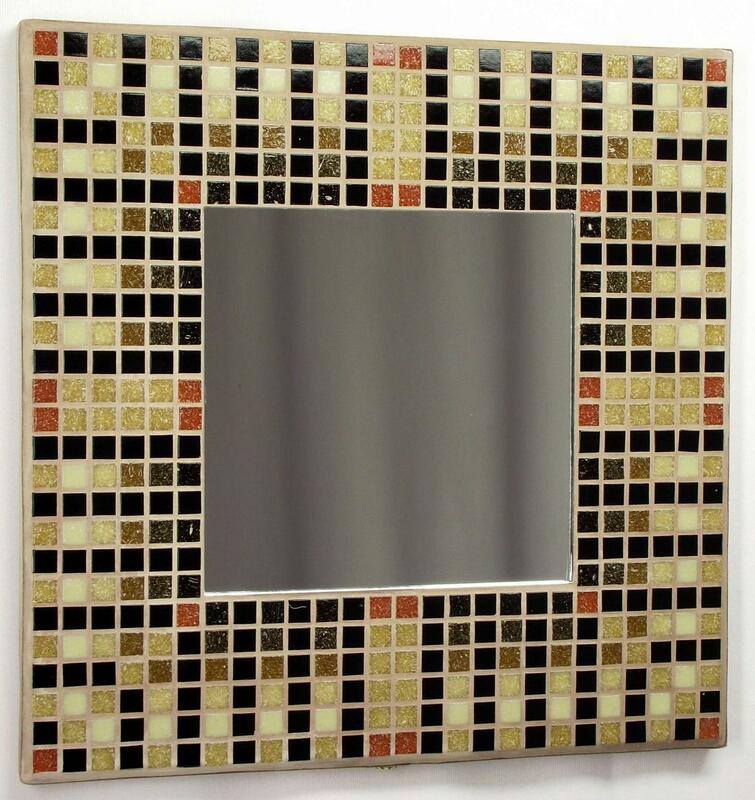 Although this shop is for UK customers only, this mosaic design can be shipped to Europe, USA, Canada, Australia and other countries - order online at Egyptian Brown 29cm on Kaamar.com (or if you prefer, use the quote button on the right to ask for a quote). 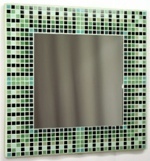 This photo shows the Egyptian Brown 29cm Mosaic Mirror, in the Satin Edged format for wall hanging. 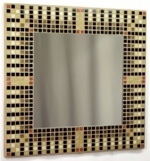 This photo shows the Egyptian Brown 29cm Mosaic Mirror, in the Satin Edged format complete with Stand. 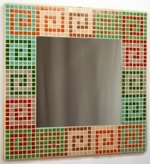 For delivery to other countries, to the excluded remote areas or if you require additional delivery options such as Saturday/Next Day/Before 10am please order online at Egyptian Brown 29cm on Kaamar.com.